Attorney Alan P. Schoen is a litigator at Lenahan & Dempsey and has been named by The National Trial Lawyers Association as one of the Top 100 Trial Lawyers in Pennsylvania. His areas of interest include Motor Vehicle and Truck Collision cases, Slip and Fall, Workers Compensation and Social Security Disability to name a few. While Attorney Schoen practices out of all of Lenahan & Dempsey’s offices, he is the senior attorney supervising the Montrose office. Alan Schoen is a graduate of the Western New England College School of Law. He also holds an undergraduate degree from The University of Scranton and he attended the University of Scranton Graduate School of Management. Attorney Alan Schoen has earned the designation as a Board Certified Civil Trial Specialist by the National Board of Trial Advocacy (NBTA), an honor held by less than 4% of all U.S lawyers. The NBTA has also designated him a Certified Civil Pretrial Advocate in 2012, the inaugural year for that national certification and he is a member of the Association of Plaintiffs’ Interstate Trucking Lawyers of America. 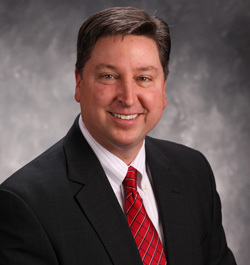 Alan Schoen is a Past President of the Northeast PA Trial Lawyers Association, an Associate of American Justice Association and is a member of several bar associations. He had the distinction of being named a Pennsylvania Super Lawyer ®* as published in Philadelphia Magazine for 2006, 2007, 2008, 2011 and 2012. Super Lawyers are among the top five percent of attorneys in the state as chosen by their peers. Attorney Schoen is actively involved in the American Red Cross serving as Chapter Chair (2012) Secretary and Board Member of the Scranton Chapter. For a complete biography of Attorney Alan Schoen, please click here.